THE INDIANAPOLIS NORTHEAST SOCIAL SECURITY OFFICE CAN BE FOUND AT FORT HARRISON ON THE CITY'S EAST SIDE. THE OFFICE IS LOCATED ONE HALF BLOCK SOUTH OF 56TH STREET ACROSS FROM THE MAJOR GENERAL EMMETT J. BEAN FEDERAL BUILDING AND IS NEXT TO THE CULVER'S RESTUARANT. The Indianapolis Social Security office is located in Indianapolis 46216. The following page includes information for this location like the office phone number, hours of operation and driving directions. 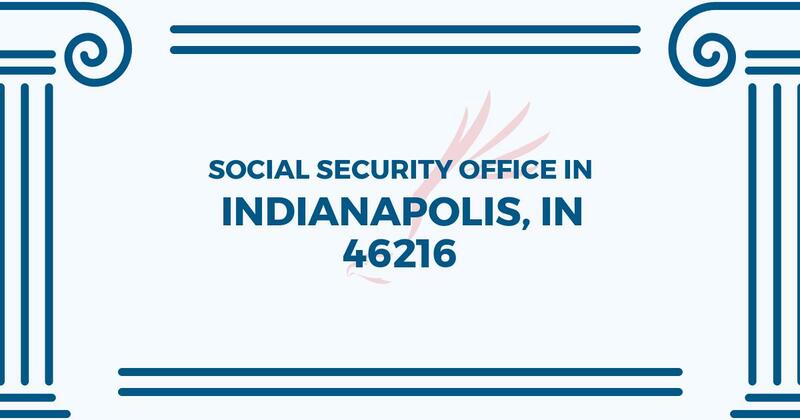 If you have any interests or comments about your retirement benefits or are interested in making an appointment, call the following Indianapolis Social Security office. The Indianapolis Social Security office is located at 5515 North Post Road. The Indianapolis office offers information, help and services directed by the Social Security Administration. The following page includes information for this location like the office phone number, hours of operation and driving directions. If you have curiosities or issues about your retirement Social Security benefits, or you need to schedule an appointment, contact the Indianapolis Social Security office. I have been to this location twice now – once to change my name and once to replace my SS card. The first time I was in and out quickly and the second time there was a little bit of a wait (to be expected… come on, people), but both employees that worked with me were incredibly friendly and quick! When going to the office. You will be waiting at lest 1 or Moe hours.